Advice from Bob Allen, SVP and chief HR officer. Why are you doing so well right now? We have a broad portfolio of businesses. We do water and waste management projects as well as construction projects across a wide range of industries. 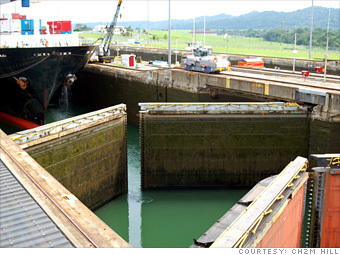 We're building a lock to expand the Panama Canal, for example, as well as some work for the 2012 Olympics and a wastewater project for the government of Abu Dhabi that will go on no matter what. We have a lot of `cool projects', which is what appeals to engineers. And we move people around from one business to another as needed. But we don't always have the right talent in-house so yes, we're doing a lot of hiring. We look for flexibility - the willingness to move from one business to another and to pick up new skills as you go. Another important thing we want candidates to have is mobility, because we have locations all over the world. The more willing you are to pack up and move where the projects are, the more likely you are to build a career here. Also, this is a highly collaborative environment, so it's especially important to be willing to listen to other people. People who can't work well with a diverse team haven't lasted here.